The Griblers community · Replied to Kitcatgameplayer in Any questions? The Griblers community · Replied to Mon2 in Any questions? Sorry, but at the moment you can not remove the torch. We will add this feature in future additions. The Griblers community · Replied to Bossman420 in Any questions? The Griblers community · Replied to Shellbelle0329 in Any questions? Hello! Find acorns or other things on the map. Then gribler hae to go to the village. Drag the finds from his house to the bottom panel. Now open market or buiding you want to upgrade and drag the finds to the empty slots. At the market drag the finds from the market to the left slots. Drag the finds of the gribler to th right slot. The Griblers community · Replied to Davis1 in Any questions? If you have the game from the GooglePlay (last version) you wan't get this bug. Try to update or install from the google play and then restart the game. The Griblers community · Replied to Wandrews67060 in Any questions? I'm sorry, but I can't help you to transfer the save on the iOS. The Griblers community · Created a new topic We have released the achivements for griblers! The Griblers community · Replied to Nakam in Any questions? Open the game, difficulty settings and press the header ("Difficulty level") for 5 times. The Griblers community · Replied to Shultza in Any questions? Hello! Try to use the market and follow the scenario. The Griblers community · Replied to RoxyToxy in Any questions? hello! It's not a bug. Put the crystal in the tree in the village. Tree is opening like a building by tap when you are at the village screen. The Griblers community · Posted in Any questions? yes, it is. Please mail me to drbrick@yandex.ru, I'll try to fix it. The Griblers community · Created a new topic Any questions? Please write here about problems in game. 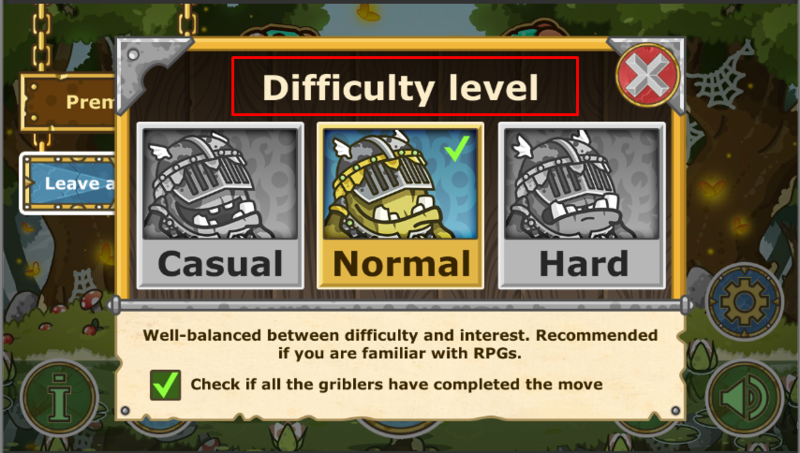 The Griblers community · Created a new topic New update! The Griblers community · Created a new topic Hello! Do you speak english?